At UKAA we are able to paint any of our reclaimed Church Chairs in any colour of your choice. We are able to offer solid, distressed and shabby chic paint finishes using any brand or colour paint you require. 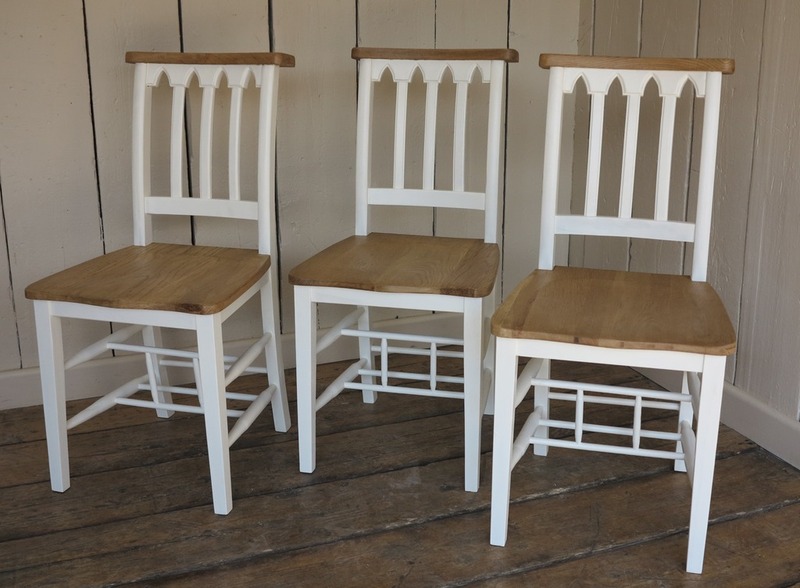 The image below is of six St Christopher's chairs that we have recently painted for a customer, the chairs have been painted in Farrow and Ball Wimborne white and we have left the back rail and the seat unpainted. 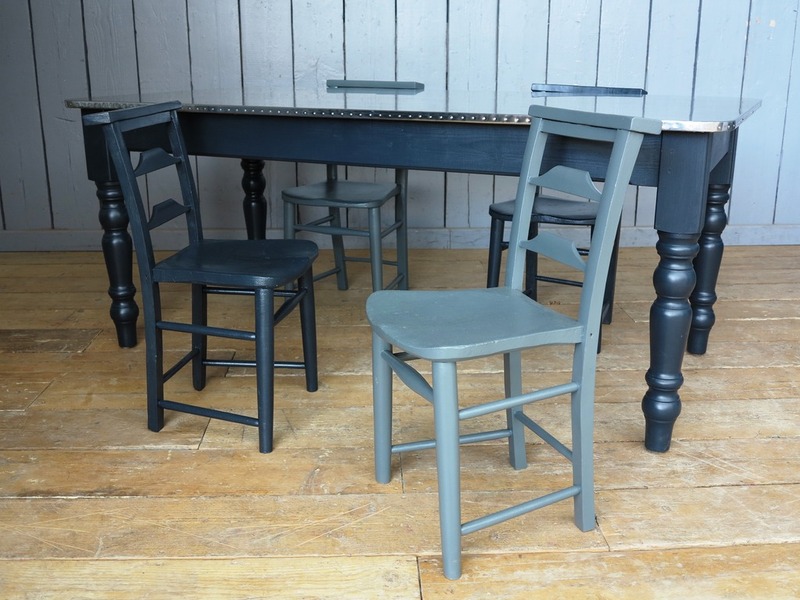 For more information about our bespoke paint service please call the office on 01543 222923 or please click here to view our chairs we currently have for sale. Are you looking for something a little different with a lot of character for your Home, Pub or Restaurant? Our Reclaimed Church Chairs would be the perfect choice! Here at UKAA we have a wide range of Church Chairs varying from Rush Seated Chairs to Stacking Chairs. All of our chairs are processed through our workshops where they are individually checked and suitable for use either domestically or commercially. We also offer a painting and distressing service on all of our chairs, please call the office on 01543 222923 or email us at info@ukaa.com for more details. To view our full range of Church And Chapel Chairs please click the image above. At UKAA we always have a large selection of Old Antique Wooden Church, Kitchen, Chapel and School chairs for sale. These chairs have been reclaimed from schools and churches through out the UK. All our chairs go through stick testing in our workshop and are assessed for suitability. UKAA also offer a bespoke painting service for any of our chairs, we are able to paint any of our chairs in a colour or brand to suit individual requirements. The chairs pictured below have been painted in Farrow and Ball Brinjal and Farrow and Ball London Clay. For more information please do call the office on 01543 222923 and we will be able to advise.